Math anxiety is a common fear spread among students of various levels and it has been considered as an attribute of Math learning. Right from small kids to college goers, we find students talking about Math phobia, allergy to Math sums, Math homework as a chore and what not. 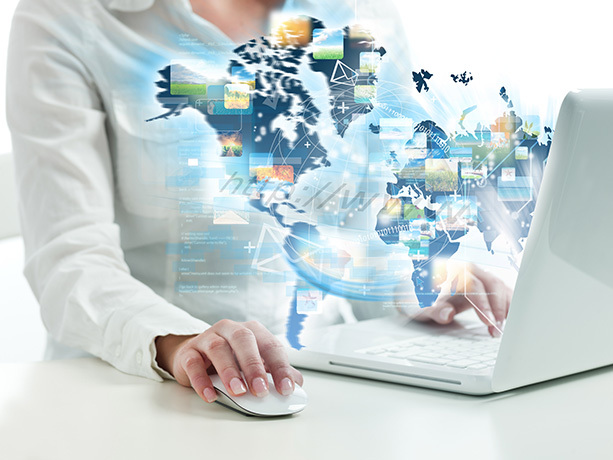 Getting solution online is the easiest way to make things happen in the present world and education is no exception. Online tutoring services serve as the gateway for students to jump start their Math classes and get ahead with rapid increase in scores. One could ask the question why there is a rush for Math online tutoring and what the benefits are. First of all, in the complex scenario of educational methods and rigorous curriculum, doing Math in a safe environment with ease is the best solution for Math issues and classroom lackings. 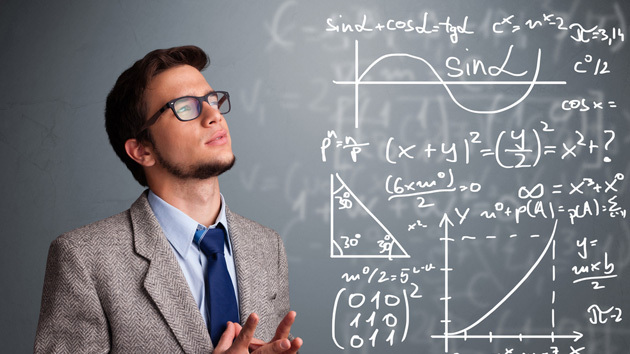 Math tutors online prove their worth in this scenario with their 24/7 services and custom made approaches. They make Math no more a chore but a subject that triggers fun and interest in students for which they take the assistance of white board like tools. Introducing Math with the help of online tutors to small kids is good as it develops positive attitude for Math and creates strong foundation skills in elementary school children or preschoolers. With their games and quizzes, online tutors make Math an interesting learning and encourage students to learn Math concepts at their pace. For high school students and college goers, the tutors online become the best support with their anytime services and instant solutions. Their step by step explanations for any tough homework sum help students get away with their doubts and fears in Math and make them approach Math sums with confidence and positive spirit. EduNiche provides subject experts in Math who are just a few clicks away from students with their smart strategies and any time help. Students Find Math Online Tutoring As The Right Initiative in Improving Math Scores! Math is always traumatic for many students and they get exam fever on the eve of Math exam due to their exam fear. Should there be this much fuss about Math learning and could students get to know Math ideas in an easy manner? – The question arises in every mind when the whole family sits with the child before Math exam to prepare Math concepts. 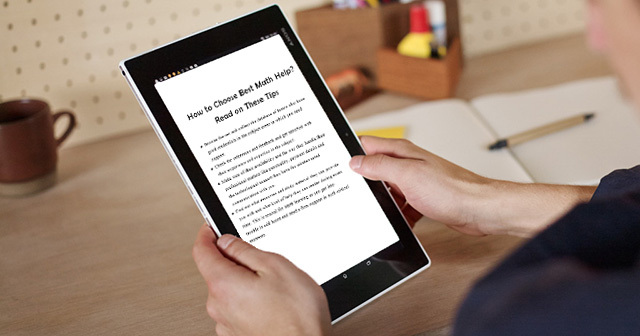 There is a sure way of getting things done with ease for Math learning-it is Math online tutoring which helps students do Math with interest and fun. The myth and fear about the subject vanish in the air once students get into contact with tutors who teach them in the virtual set up through technological aids that support their learning process. 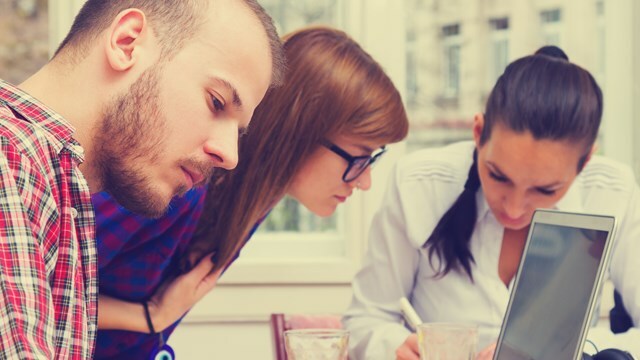 When you need clarifications for doubts in Math at the neck of the moment, you need not break your head over seeking help but you could just register with an online tutoring site that introduces expert tutors in the field to you. EduNiche has such tutors in abundance for you to contact and get your doubts cleared. Read More : Common Practice Tips for Acing Math Exam! Math homework is the trouble shooter many a time with questions in Algebra or Geometry dandling before the student with threats. There are students who get baffled on seeing the very numbers in the homework problems assigned to them. It is their mental trauma that undoes things for them and they are in a fix. 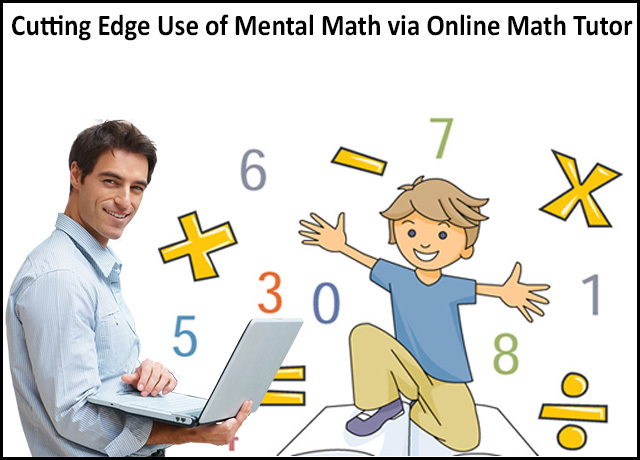 Math help chat online would be the suitable resource for them to interact with subject experts and get clarifications for the issues they come across in Math learning. The interactive white board helps quick and easy interaction between the tutor and the student and helps the students carry out their work by writing on the white board with the tutors. Math demands practice and online tutoring portals offer scope for this with their practice sheets, work sheets and test prep material. The tutors approach the students with personalized care and customized solutions so that students are able to do Math at their pace without compulsion. Moreover, the quizzes, puzzles, Math games that are offered by online Math tutors make learning interesting and fun and the students never feel the burden of doing sums or learning a tough concept. 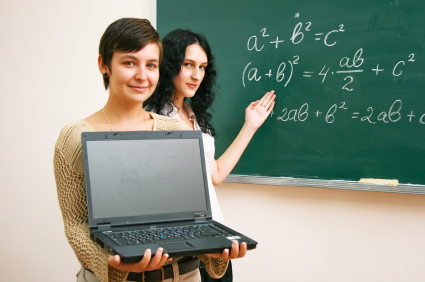 Read More : Algebra Online Tutoring is the Right Panacea for Getting over Algebra Exam Fear! The one on one tutoring sessions held by subject experts aggravate the scores of students, for, they are able to concentrate on their plus and minus points without struggle in the classroom which is totally arranged for them. Tailor made measures for students are organised by expert tutors to make students learn Math in their style and according to their capabilities. This is not possible in a classroom atmosphere where many follow the same pace of the teacher. So, they get stuck in the middle and find their learning process incomplete. Online tutors on the other hand are able to handle every student individually to bring out the best of their learning capabilities in the form of outstanding scores. EduNiche provides online Math tutors who are certified in their areas to provide expert tutoring services to the students. 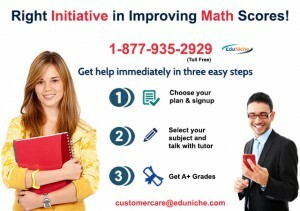 Students could show excellent improvement in their Math grades through the tutoring help provided by EduNiche. Math is essential in life for calculations, thinking capabilities and logical reasoning. You need Math skills to arrive at conclusions, to be successful in day to day transactions and to find out good solutions in prospects of life with great analytical capabilities and clear thinking. What impediments you come across in Math learning? What can you do to avoid such circumstances? When normally you come across struggles in doing Math? When you enter new grades, you are introduced to new areas of Math with topics and ideas that evade your understanding. For example, when you enter Algebra classes, you feel hard and tight without knowing how to seek good Algebra foundation. Algebra Homework especially would be your trouble shooter with lots of symbols and letters. In such circumstances, seek online homework help from reputed sites like EduNiche and get over your preliminary struggles to stand firm in the subject concepts with a strong foot. Our online math tutor knows the strategy to explain topics in Math in simple terms to make your understanding strong and fool proof. Connect to us to get away with your Math deficiencies and gain a positive note in Math doing.